Monday Madness: Keep Your Head To Yourselfie. Do you or someone you know take selfies? 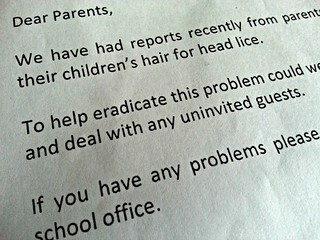 Do you or someone you know have head lice? How about this, are you a regular selfie taker who happen to also have head lice? Maybe it’s not such a coincidence as you may thing. It turns out that the two are connected. How? Don’t ask silly questions. It’s plain as day. Let’s put our heads together on this one. Oh actually, let’s not. I read somewhere, probably here, that head lice is prevalent among selfie-taking taking teen girls. This is due to girls putting their heads together when taking a photo of themselves. No idea on how the other person got the lice in the first place but with my dirty mind, I’m thinking that perhaps their partner had pubic lice and…nevermind. Too much information. So next time you decide to take a selfie with your bffs, make sure you know where your head is at all time and keep it to yourself. Are group selfies spreading lice among teens? If You Like Taking Selfies, Watch Out For Lice! Could taking selfies with friends spread head lice?